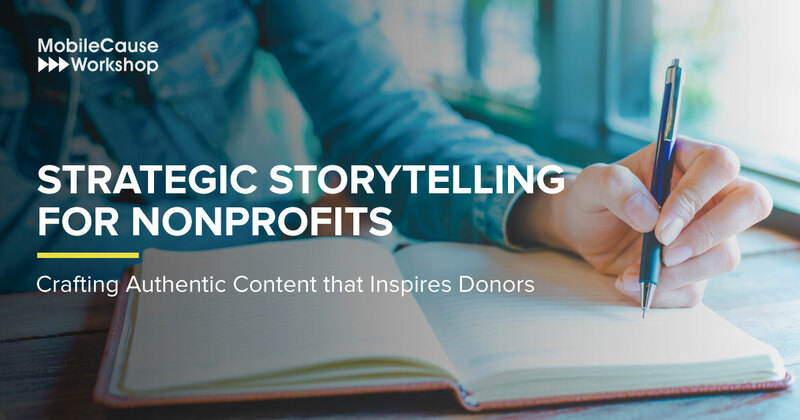 Effective storytelling is imperative to your fundraising strategy; it can help create deeper connections with a tribe of loyal and impassioned supporters. But where do you begin? What should your story entail and who should it be about? Our interactive workshop is here to help. We will discuss why and how effective storytelling will reach your intended audience. We’ll then walk you through step-by-step how to make your story come to life. We invite you to work through each fundamental element of authentic storytelling with us so you can apply it directly to your nonprofit and mission.